My name is Maxime Verrette, I am from Montreal, Quebec (Canada) and I am a professional graphic designer. I work full time at an ad agency and work on personal gaming projects in my free time. I am of course a big fan of board games. I love a good Eurogame once in a while but I tend to lean more towards the Ameritrash side of the fence. 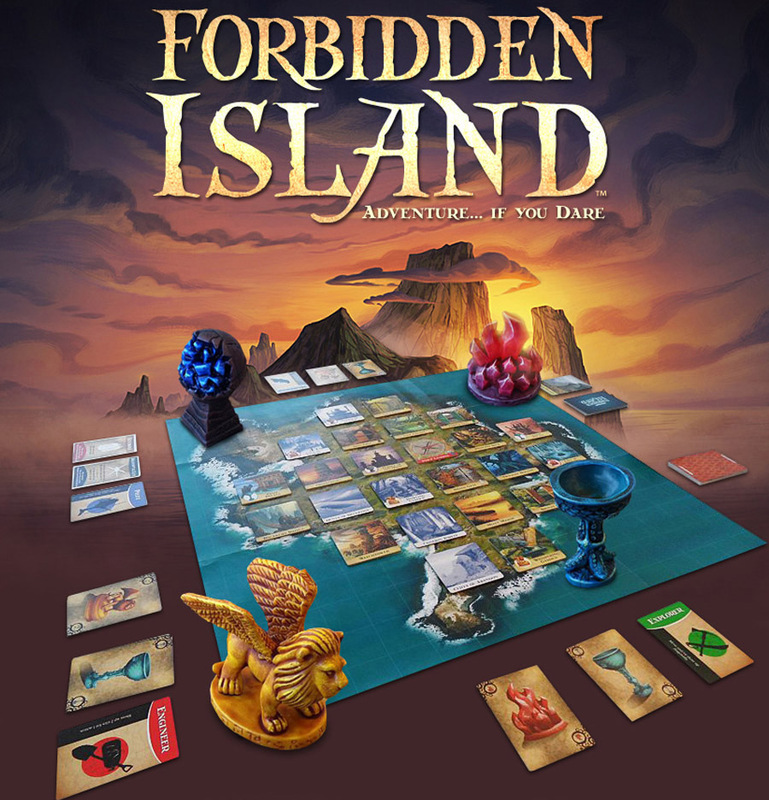 I was not initially interested in Forbidden Island . At the time of its release, or at least when I found out of its existence, I was into other games such as Mansions of Madness , Elder Sign , Zombicide (bit of a dark streak I must admit). Then a friend of mine told me she loved playing this game with her kids and it stuck a cord with its sinking island mechanic. Mind you, I have (older) kids of my own, but they were not going to play Forbidden Island as it seemed to be a “soft” theme for them. I decided to get it anyway since I also had this gaming group at work. We played it during lunch breaks since it was a quick set up/put away plus it was actually quite fun. I even designed this poster to promote lunchtime gaming at the office. 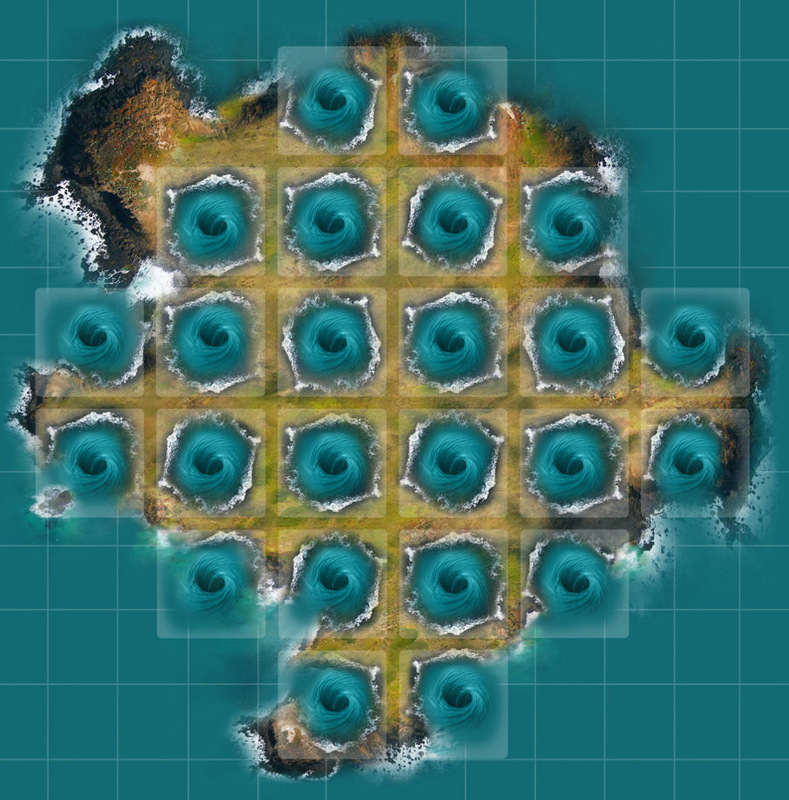 I imagined how the game would look like if we were playing the game on an actual island board. 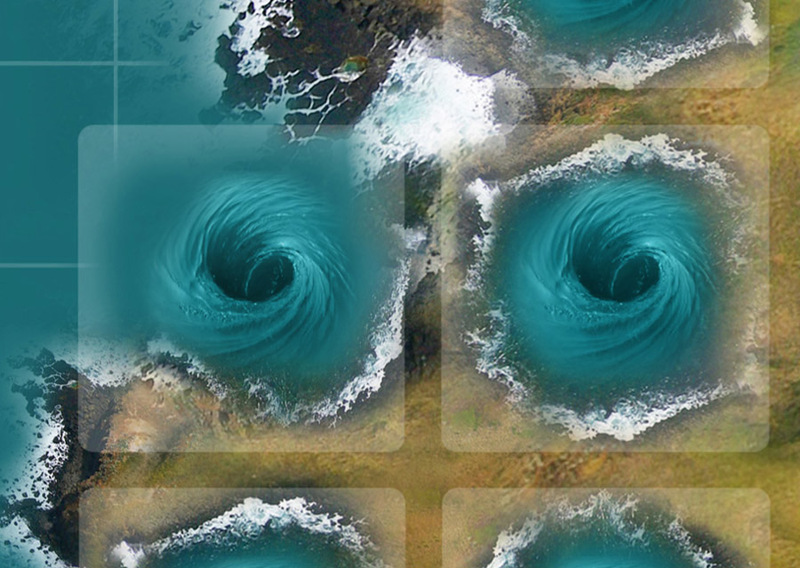 I started working on this photo montage (my tool of choice being Photoshop), then placing the tile set up over it and making these holes underneath where each tile would be placed (later on I added whirlpools), to enhance that sinking feeling when you remove a tile. 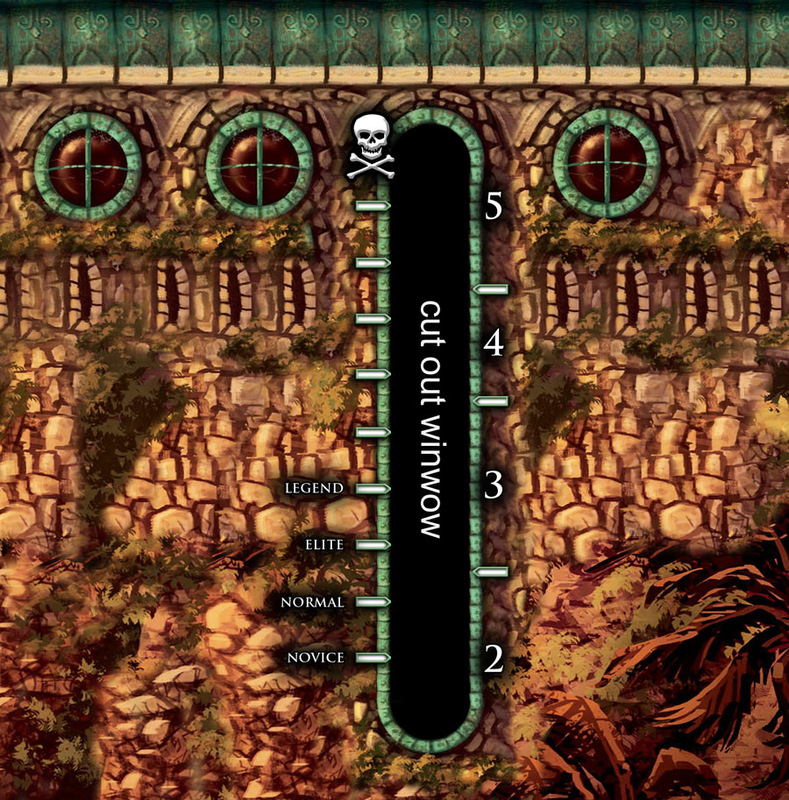 My earlier design had more motifs and decor than the final rendering but I eventually decided to be against too many visual distractions as I wanted to make the game stand out and make it a more enjoyable experience. Not bury it in unnecessary eye candy. The game already looked quite good so “less is more” was the way to go. Then I worked on my first printed copy. I did not have access to a large-scale printer and so I made this template that I could print out 8.5×11 sheets, cut/trim and assemble together into a decent playing copy. I was pretty happy with the results and started bringing my demo to different gatherings and gaming groups. It was also quite popular on BoardGameGeek and I also managed to get some feedback from Matt Leacock, the game designer himself. Some questioned its usefulness but in the end, most agreed that it captured the essence of the game and enhanced the experience. Later, friends started asking me if I could make a copy for them since they felt something was missing when they would play with their own copies of the game. That’s when I started looking into having it printed as a real play mat. I did not have to look far as I quickly found this online shop called Inked Play mats (now Inked Gaming). I would go on printing many other projects there but my first one was Forbidden Island. I was really impressed by the quality. 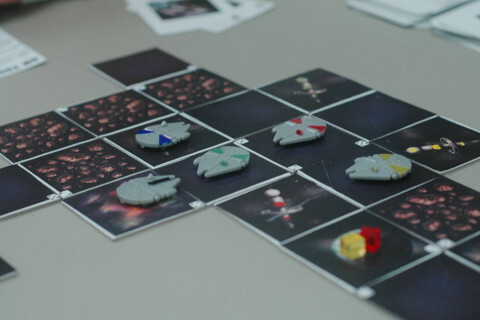 Once I got my copy and laid out all the tiles and game components, it really all meshed together. The best piece of artwork of the game to me by far is the tower on the game box as it is quite evocative. It’s also one of the tiles but I’m sure it’s no coincidence that it’s on the cover either. I initially wanted to build a 3D paper model of it and just have it stand there next to the game but that felt like there wasn’t really any point to it. That’s when I got the idea of turning the tower into the water level marker. Now it had a purpose and it was going to be more than just a pretty toy. The first thing I did was to photograph/scan the cover and build a printable file so that I could then construct the tower in 3D. I then meshed the photo artwork with my own custom design of the new water level marker. The tower itself, structure wise is basically just a tube. I then made another smaller tube that would be inside the larger one. The smaller tube had the different water levels printed along its side so that when rotated, you could see through a cut out window of the larger tube, the water level you wanted to display. So there you have it. 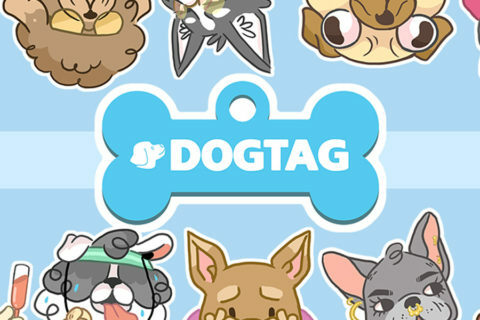 I went on to make several more custom play mat designs for other games and I recently started making them available through my Etsy shop in digital format. I hope to add shortly my most recent project: A custom Forbidden Desert play mat design. 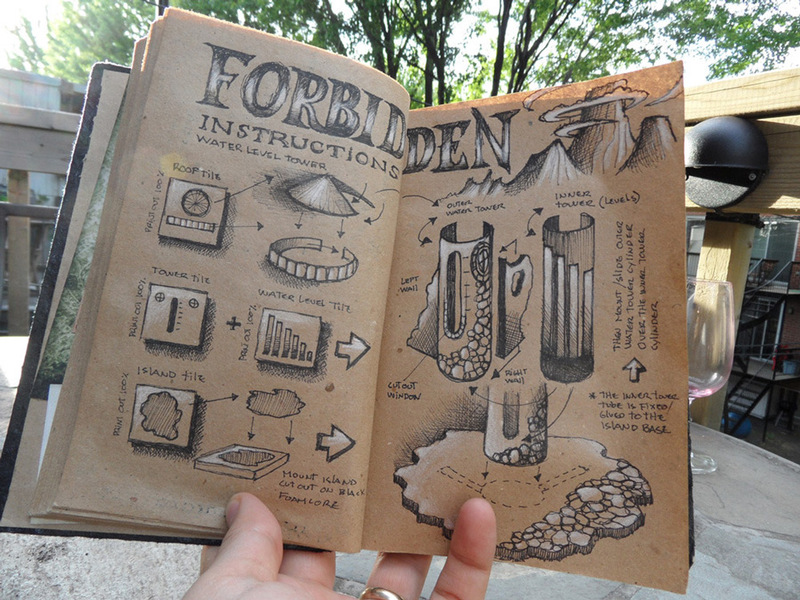 Get Forbidden Island , or Forbidden Desert on Amazon. What a great idea !! Definitely enhances this great game. Cost is my mat design (15$) + physical play mat printed on neoprene from Inkedgaming.com (25$) + shipping cost to you location. Takes average between 3-4 weeks for delivery. PS: Feel free to write (if you have any more questions) through a conversation via my shop @ http://www.enhancedgaming.etsy.com. The tower is just awesome! If i want to recreate the same one, how can i do it? Wow. That is freaking incredible. 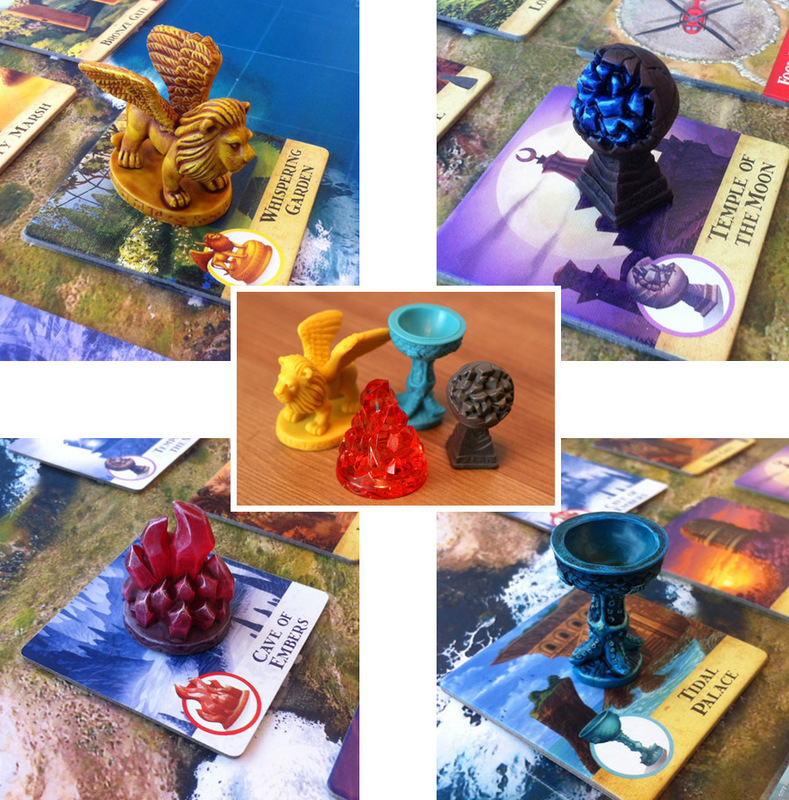 While my current Kickstarter project is for Pandemic Miniatures, I’m aiming to get to a set of Plastic minis for Forbidden Island crated next. But this, wow, one of the best upgrades I’ve ever seen…if not the best. Great great work! I hope you don’t mind if I leave this link to the KS here. Perhaps this and our future products are up you and your fans alley. Thanks Josh! Thanks for the feedback. Much appreciated. Nice project you have going there. I’ll be sure to check it out/follow it’s progress. 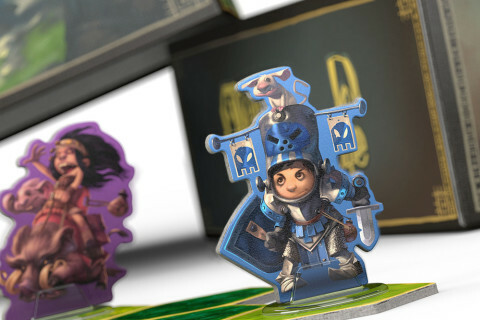 I’m looking into eventually getting Pandemic Legacy and your minis will surely make a great addition ;). This is great! The one change I would make is make the inner tube of the tower connected to the roof of the tower. Then you don’t need to muck around with the base and can keep it all in one place. Just have to rotate the roof. I love this! Great work 🙂 I visited your etsy shop but could’nt find the tower file, is there a way I can get it? I gladly pay for it too. Greetings from México. Thanks! Sorry, not for selling/not on my shop since this was a personal project. Greetings back at you from Quebec (Where I wouldn’t mind a bit of Mexico weather right now ;)). 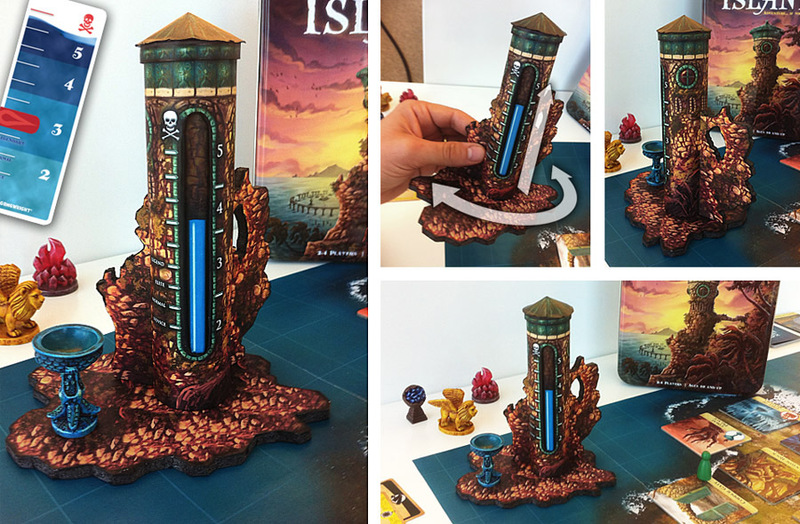 I am definitely going to purchase your download for this Forbidden Island play mat, it’s fantastic! I am also currently attempting to reconstruct you’re water rises tower, which was an incredible idea BTW! Do you mind sharing what material you used to construct the tubes for the tower? I printed the tower and water levels on to normal paper and then cut and glued the image onto material that I cut out of a folder. The folder material still felt a little flimsy. Do you have any suggestions? I just created an account on BBG, My username there is DarthWadester. I would compensate you for any help with this project.